I was asked by the very beginner of HSPiP. He said, “ I bought HSPiP, but there are so many tab, button, pain and manual is so huge. Please lecture me so as even ape can understand!”. So, I made hands on for him. I can not reveal his target, but what he want to do is purification by liquid liquid extraction. I search Patents and I found very good example about solvents for Lithium Ion battery. and have other good properties. But this solvent was contaminated by di-substitute or tri-substitute carbonate and these highly substituted or not 1 position substituted materials make worse for battery electrolyte solution. I explain how to use HSPiP for this problem. The first thing to do is get Smiles Structure of these molecules. If you want to know how to draw molecules, please refer to Power Tools applications. 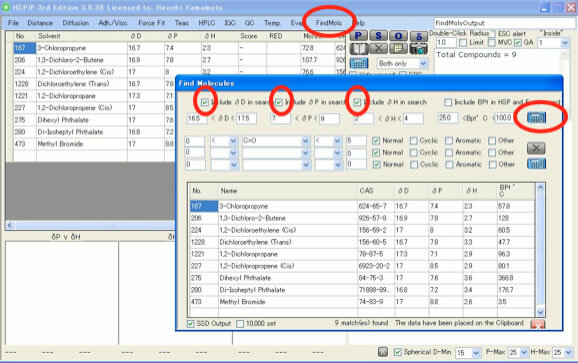 The full version of this routine is implemented into Draw2Smiles Powert Tools in HSPiP ver. 4. Draw molecules and get smiles like below figure. 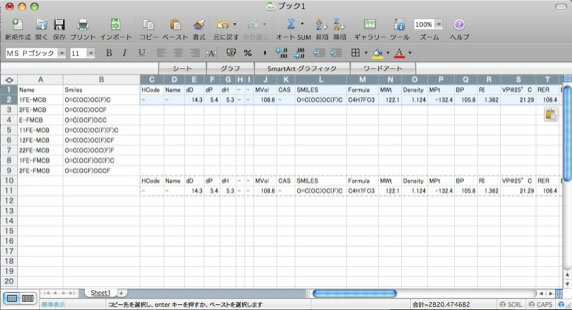 Then paste it to Spreadsheet. You can get these Smiles within 10 minutes. Then push δ button, You will get DIY panel. Please confirm you select Y-MB. 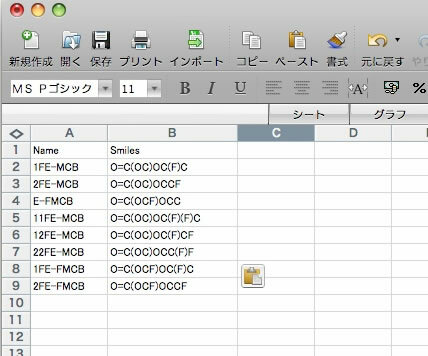 Then Copy one smiles from spreadsheet, and paste it “Smiels or InchI Input” field, and push Calculate button. Y-MB will break Smiles into functional groups and calculate a lot of properties. These results are store in ClipBoard memory, so you can paste that results into spreadsheet. 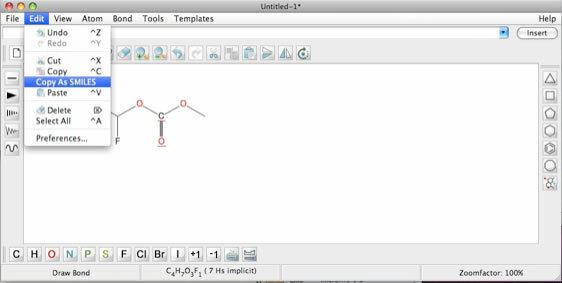 In the ClipBoard memory, the title is also stored, so paste out position and copy again for each molecules. You can get HSP and other properties within 5 minutes. If you need not other properties, please delete them. Happily enough, Main Product and ByProduct HSP are separated. So, if I draw line from main product to by product (Red line), then the candidate liquid-liquid extraction solvents’ HSP is dD:16.5-17.5, dP: 7-9, dH: 1-4. 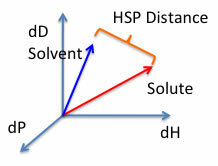 You can search solvents with HSPiP. You can find solvents from FindMols menu. 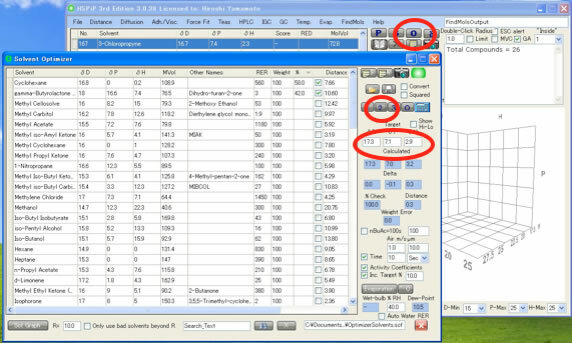 Set the values and push calculate button, you can get candidate in a seconds. From start to get candidate solvents, it take 20 minutes. If you are using HTML5 enable browser such as Chrome, Safari or FireFox (IE9 is out of support), you will see the Canvas. If you pick solvent, solvent name will appear. 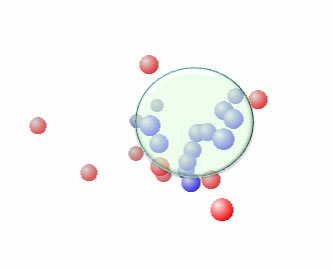 Red small sphere means target chemical, Blue spheres are by products. The green sphere is 1,2-DichloroPropane. We can understand by-products are easily dissolve in 1,2-DichloroPropane. All these candidate are halogenated compounds and suppose you do not want to use such solvents, you can search solvents mixture. 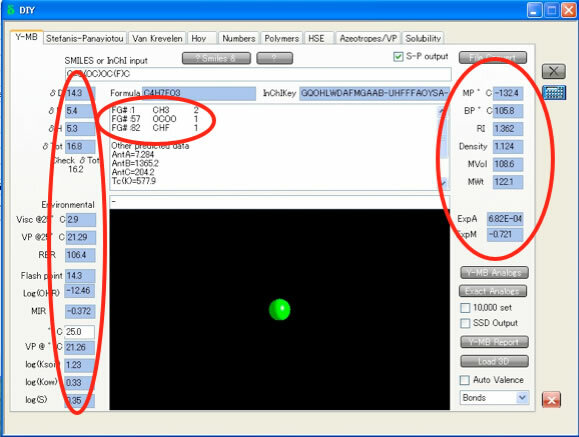 If you want to search No.1221, 1,2-DichloroPropane[17.3, 7.1, 2.9] like solvent mixture, select Solvents Optimizer button (O). 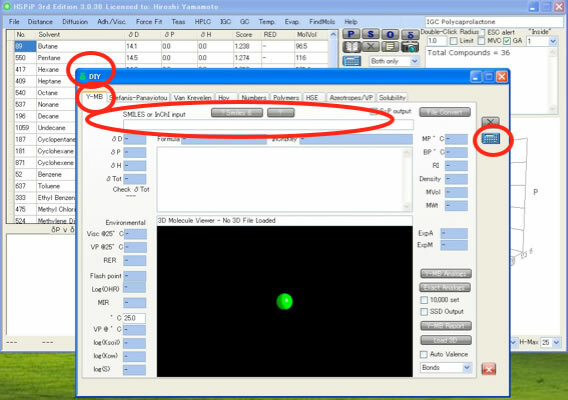 And set target value and just push 2 button. Cyclohexane:gamma-butyrolactone =58:42 is the nearest with the target. 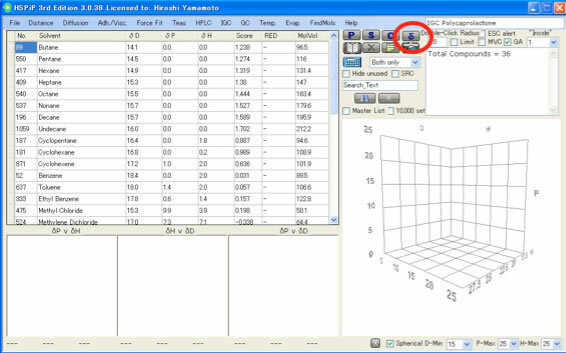 You can set your own solvents in the optimizer list. If you are accustom to using HSPiP, please try by yourself. You can understand liquid-liquid extraction with this article. We will not recommend to use this technique to amine compounds.